The Hollywood glitterati typically gathers for self-congratulatory affairs - the Oscars, the Emmys, to name two events - but for part of a night and a day in 1952, the spotlights of the movie capital were turned outward. For 14 and a half hours, all anyone focused on were a few hundred deserving athletes who were bound for Helsinki, Finland. 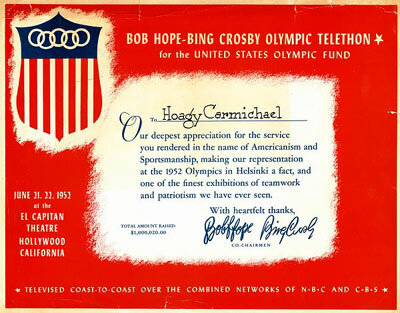 With a shortfall of funds facing the U.S. Olympic team, Hollywood luminaries gathered on the stage of the El Capitan Theatre in Los Angeles and pleaded, cajoled and implored the television audience watching on both NBC and CBS to phone in their pledges. 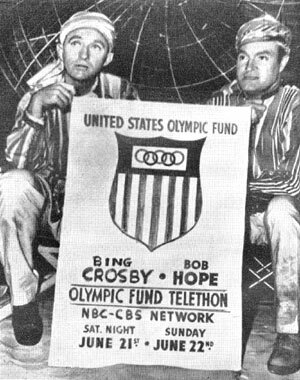 The telethon was hosted by Bob Hope and his frequent co-star in the Paramount Pictures string of "Road" movies, Bing Crosby, who until then had shied away from television. 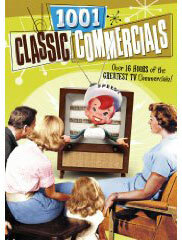 A week before the telethon, Hope marked Crosby's impending television debut by showing a large cutout of his friend on "The Colgate Comedy Hour." Crosby, a CBS man, and Hope, always on NBC, joined forces at the behest of Vincent X. Flaherty, a legendary sports columnist for the now-defunct Los Angeles Examiner and a drinking and golfing buddy of both men. Telethons were a relatively new idea at the time. Milton Berle starred in the first telethon in 1949, a 16-hour effort that raised $100,000 for New York's Damon Runyon Memorial Cancer Fund. 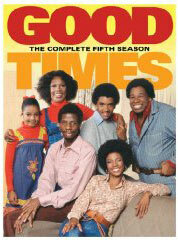 Similar telethons that followed were strictly aired locally. Flaherty proposed a national telethon as a way to reach as many donors as possible. The Olympics were scheduled for July 19-Aug. 3 and the day for the athletes to depart was coming up fast. Flaherty talked the telethon idea over with Hope and then wrote Avery Brundage (seen left), president of the U.S. Olympic Committee, in Chicago. When Brundage ventured to California in May while Hope and Crosby were filming "Road to Bali," Flaherty brought the trio together at Paramount. 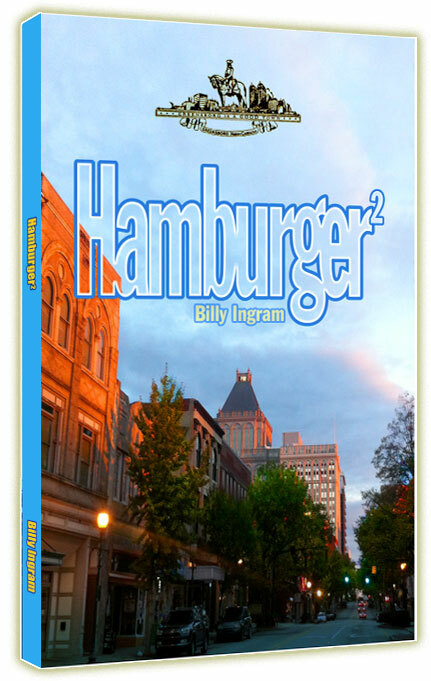 "You can be assured we're going to have a show for you, Mr. Brundage," Hope declared. "You can count me in, too," Crosby said. "I'll do anything I can to help. That's a promise." "This is the most wonderful thing that ever happened to us," Brundage would say later. Flaherty's newspaper was owned by William Randolph Hearst, and sportswriters and editors at Hearst newspapers across the country were put to work as cheerleaders to promote the coming event. 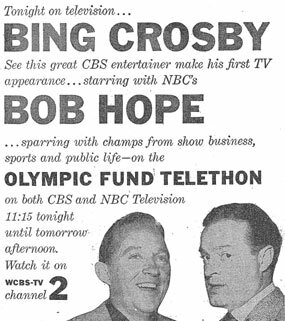 Bill Corum of the New York Journal-American and a friend of Hope and Crosby was given the role of national chairman of the telethon's sports committee. "Never before," noted Brundage, himself a former Olympic athlete, "did a team have the entire country behind it as did the one that went to Helsinki." "I can't think of a more united effort in all of Hollywood history than that one day," says Johnny Grant, a veteran broadcaster who was on the stage at the El Capitan. "Now during the war, World War II, Hollywood was certainly united, but I meant for a sports event or something other than the war, this was the day." 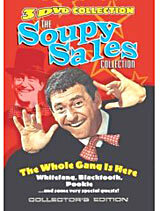 Known as the honorary mayor of Hollywood, Grant helped telethon producer Norman Blackburn round up star power to appear. The stars appeared for free, drawn to the telethon because the Hollywood community had decided America's athletes were going to the Olympics. "Hollywood had made up its mind that they were going to go," Grant says, "and when Hollywood makes up its mind, look out. The floodgates are open. When the whole community gets behind a project, there's nothing they can't do." The stars lined up behind the telethon. Bud Abbott and Lou Costello. Spike Jones and his orchestra. Humphrey Bogart. Marilyn Monroe. George Burns and Gracie Allen. June Allyson. Eddie "Rochester" Anderson. Rosemary Clooney. Joan Crawford. Tony Curtis. Janet Leigh. Zsa Zsa Gabor. 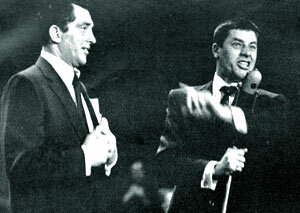 Dean Martin and Jerry Lewis. Margaret O'Brien. 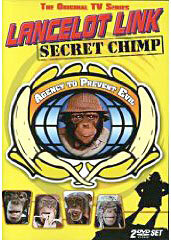 Edgar Bergen. Tex Ritter. Edward G. Robinson. Frank Sinatra. Ed Sullivan. Johnny Weismuller. The list goes on and on. "I'm sure Bob got on the phone and called some of these people himself," Grant says. 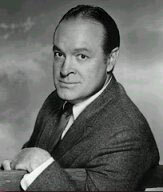 "Bob Hope could pick up the phone and get anybody. So could Bing." Perhaps the biggest coup of the telethon was in getting Crosby to appear on television. Crosby already has turned down several well-paying opportunities to appear on television. "This is one time I couldn't refuse," Crosby said. "I think every American should get behind our Olympic team and send our athletes across at full strength; and in the finest style possible. We've got to show those Reds up." The 1952 Olympics were the first ones that pitted Americans against Soviets, and the Communists were heading to the Games predicting victory. "I guess old Joe Stalin thinks he's going to show up our soft, capitalistic America," said the British-born Hope, who would be fondly remembered after his death in 2003 at 100 for the years he spent entertaining American troops overseas. "We've got to cut him down to size. 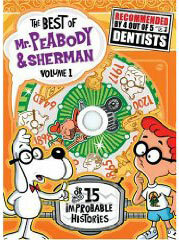 This is the most exciting thing I've ever undertaken - and brother, Bing and I are going to throw our best punches." Hope put his joke writers to work coming up with new material for the telethon. Owners of movie theaters rightly feared the telethon with its promise of so many big names would hurt their business. 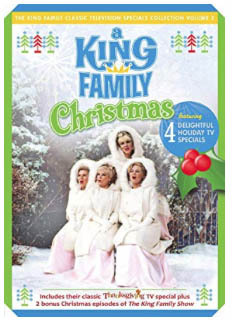 Gossip columnist Hedda Hopper wrote the telethon was, "a brilliant night for everyone concerned except the motion picture industry and the theaters that show our films." In Los Angeles, where the telethon began at 8 p.m., business was off by 10 to 15 percent. The Hollywood Reporter said business was off as much as 40 percent at some theaters and the box office take was down by $2.5 million. An estimated 50 million people watched the Olympic Telethon, which began Saturday, June 21, at 11 p.m. Eastern Time and ended at 1:30 p.m. Sunday. 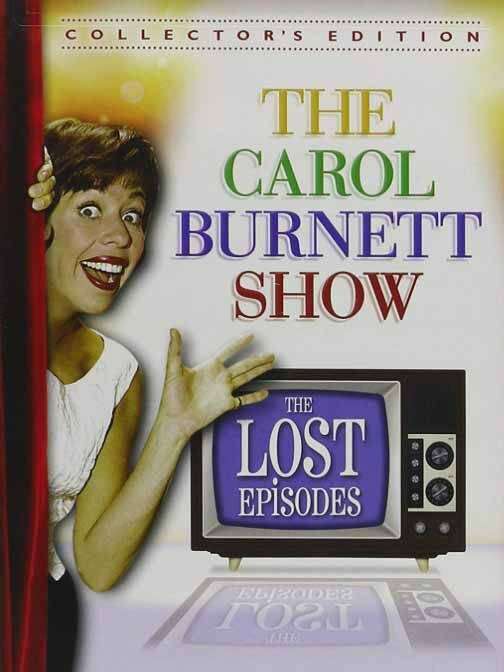 In a move that would later come back to hurt the telethon, the show began with an appeal from California Gov. 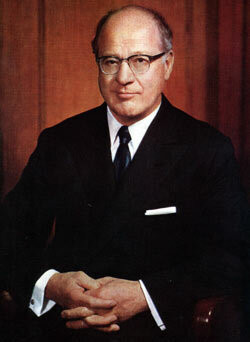 Earl Warren to raise $555,555 to send the 332 Americans to Helsinki. "They made one big mistake in announcing their goal," Grant says. "Because they reached it long before the telethon was supposed to end. "I forgot what the goal was but we had reached it and then many people said, 'Well, gee, I guess they don't need our money.' A lot of the pledges never came in because of that. 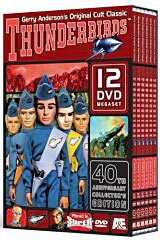 I've done loads and loads of telethons since then and we never say what our goal is." The Olympic Committee actually was looking to raise $850,000, both for the Helsinki games and to cover the cost of sending athletes to Norway the previous winter. Olympic officials always have had to beg for money and always raised enough to send their athletes to the Games, but typically didn't reach their goal until the last minute. It took the team of Hope and Crosby less than a day to raise the money. "It was a magnificent job by all concerned and a special Olympic medal should be struck off for those two merry japers as a mild token of appreciation for the championship exploit they performed," New York Times sportswriter Arthur Daley commented. He also said that the telethon was a tribute "to the American public and the American way of life." Struck by nationalist fervor, Americans opened their wallets. Soon after the telethon began, the figure on the tote board told of $7,000 in donations. By 3 a.m., that number had risen to $212,000. Richard "Red" Skelton ($100). Ed Sullivan ($1,000). Lana Turner ($200). Tallula Bankhead ($200). Susan Hayward ($750). James Cagney ($850). Eddie Cantor ($500). Frank Capra ($50). Janet Leigh ($50). Jack Dempsey ($100). Kirk Douglas ($250). Groucho Marx ($100). Dinah Shore ($150). Skitch Henderson ($500). Jane Wyman Reagan ($100). U.S. soldiers fighting in Korea, Brundage would later note, contributed more than $36,000 to send the athletes to Helsinki. For those soldiers, it was a personal cause; more than 20 percent of the Olympic athletes in 1952 were in the armed forces. 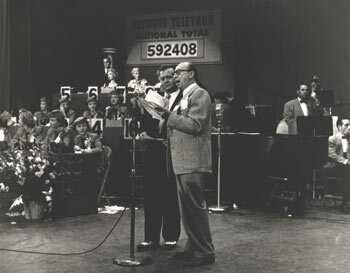 What complaints were voiced about the telethon were about its pace. The show was slow, interrupted frequently by the recitation of names of donors and pleas for more money. 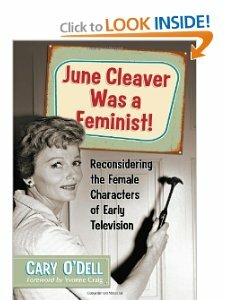 Hope joked that the telethon was "'Quo Vadis' with station breaks," and as "a career rather than a show." 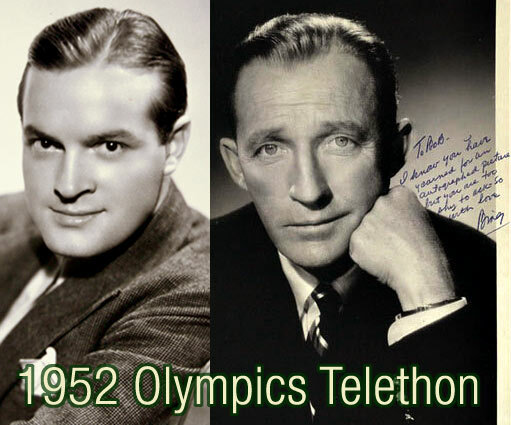 Variety compared the Olympic Telethon to previous telethons and found it lacking. The Olympic fund-raiser "almost became a late-night siesta in the initial hours of some sorry routining, too many stage waits and dull wordage, and some inexcusable shoddy production and camera miscues." 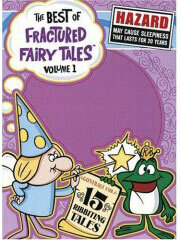 The first couple of hours dragged, and were "short on sure-fire entertainment values," according to Variety. Hope and Crosby joined for a "Road to Helsinki" duet and called out names of donors, but the early part of the show was dominated by the likes of Brundage, Gov. Warren and familiar material. Bud Abbott and Lou Costello offered their "Who's On First" routine. Jack Gould of The New York Times groused that he watched for 10 hours and Crosby only sang one complete song and opined that "the long show was something of a disappointment." 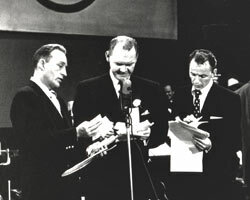 According to Gould, the telethon was staged more in the fashion of radio program than television with people working in front of a microphone. That limited the acts and placed the emphasis on singing and people playing solo instruments - Fred MacMurray came on with his saxophone - rather than on dancing and sketches. 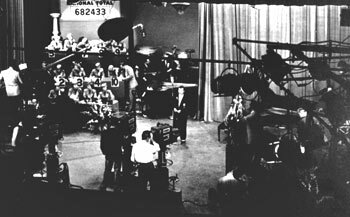 Although the telethon rousted the audience and brought in a fresh crowd every hour, attention to the stage naturally flagged. "I remember we'd go out in the audience and have some fun because some people had fallen asleep sitting in the theater," Grant says. "We woke a couple of them up. It was kind of funny, their reaction on television." The appearance of Lewis and Martin in the wee hours of the morning helped revive the audience, although Crosby fled the stage, fearing Lewis might knock his toupee off. Grant says some of the stars who came by the El Capitan were there to perform. Others answered telephones or simply made pitches for money. When all the pledges were counted, they amounted to $1,00,020. But not all of that money was going to come in. Figuring the Olympic athletes had more than they needed, many donors refused to honor their pledges. Harry Henshel, co-chairman of the Olympic fund-raising committee in New York, said the sentiment was: "Now that you've got a million dollars, you're all set." The bank in charge of collecting and counting the money estimated after the telethon it didn't expect to see more than $250,000 come in. The fund-raisers said the people who gave between $1 and $25 were more likely to live up to their pledges than those who had offered three- and four-figure donations. "I didn't think we had that many welchers in this country," Crosby said. When the counting was done, the Olympic fund raised $353,000 from the telethon. After expenses, that left just $310,000. But that was more than enough - when combined with other Olympic fund-raising efforts - to send the athletes to Helsinki. Special thanks are due to Johnny Grant for his memories and for supplying some of the photos. so we can continue this work! We've suffered another loss to the entertainment industry. Johnny Grant, a local Los Angeles radio personality and one of the main organizers of the Santa Claus Lane Parade (later renamed The Hollywood Christmas Parade), died Wednesday, January 9, 2008 at his penthouse in the Hollywood Roosevelt Hotel. He was 84. Aside from being a popular radio broadcaster and one of the chairmen who helped to obtain the services of many well known performers and personalities to appear in the parades over the years Mr. Grant also helped to induct many celebrities onto Hollywood's Walk of Fame where well-known stars had their own names engraved into the streets of L.A. He also MC'd the placing of celebrity's foot and hand prints into the courtyard of the (former) Grauman's Chinese Theater. Known as the "honorary Mayor of Hollywood" Grant retired from broadcasting years ago but still worked with the Hollywood Chamber Of Commerce on their many events and successfully promoted the city Hollywood over the years. He retired from the Hollywood Christmas Parade in 2006 following the final TV broadcast (Grant was given his own star on the Walk Of Fame that year and he also rode in the last parade). People are still trying to get the Hollywood Chamber of Commerce to revive the parade without much success. 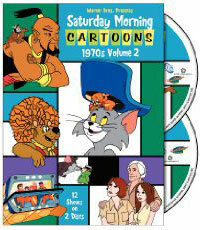 A catalog of all the classic TV shows on DVD!